The autumn colours are amazing this year but as the leaves fall it is time to think about what to do with the caravan over the winter months. In the past , caravanning was strictly for the warmer months but not any more. Caravans are better able to cope with cooler temperatures and there are plenty of parks that stay open all year round. 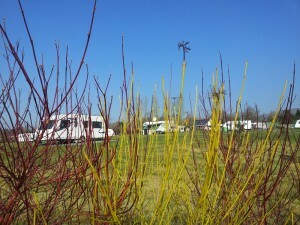 Daisy Bank Caravan Park is open year round and we see many caravanners through the winter. There is still plenty to see and do, or if you just want to escape then the peace and quiet will do you wonders. Why not book a long weekend before christmas? There are plenty of Christmas Fayres and markets if you want to do a bit of shopping . Ludlow Medieval Fayre is a great experience on the 26th and 27th of November as is Shrewsbury at Chrstmas on the 10th/11th December. Click on the links for a bit more information. Christmas Day in the caravan? or escape from the family for the New Year? The park is open and your favourite pitch is waiting for you, so why not hitch up and make the most of your home away from home.